This is good news if you’re looking for a Michael Myers mask with a nice Gene Simmons/Albert Einstein hybrid hairdo. 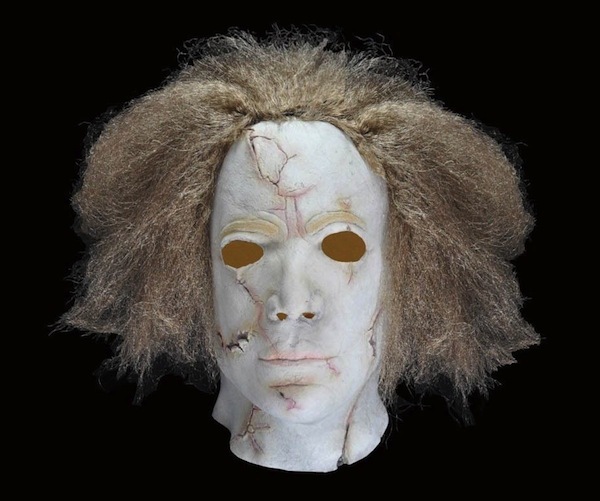 I suppose this mask is the envisionment of what Michael would look like had he skipped a few trips to the hair salon, so it’s somewhat accurate. But regardless of that, it’s pretty terrible in a hairy kind of way. I might buy one as a joke, but then I would just be contributing to the hairy terribleness. For a cool $24.99 though, you can be the life and laughter of your upcoming Halloween party, so get on over to the Ebay post HERE and grab one because there are only 5 left! Granted, there were only 5 to begin with, but I guess that’s irrelevant. This entry was posted in Feature and tagged dirty horror, ebay halloween masks, feature, halloween michael myers, michael myers, michael myers halloween masks, michael myers mask worst, michael myers masks, terrible michael myers masks, worst halloween masks, worst michael myers masks by Dirty Horror. Bookmark the permalink.